The last we’d heard of Prometheus 2 was the announcement in March that the production had hired screenwriter Michael Green to do a new pass on the script, which was previously worked on by Jack Paglen (Transcendence). Given that Green’s biggest produced screen credit so far was Martin Campbell’s regrettable 2011 Green Lantern movie, that may not inspire much excitement in you for Prometheus 2. Well, regardless of how well it eventually turns out, actor Guy Pearce was recently asked if he might possibly return for the Prometheus sequel. Given how his character wound up, that seems unlikely, but could Pearce return in an unexpected way? 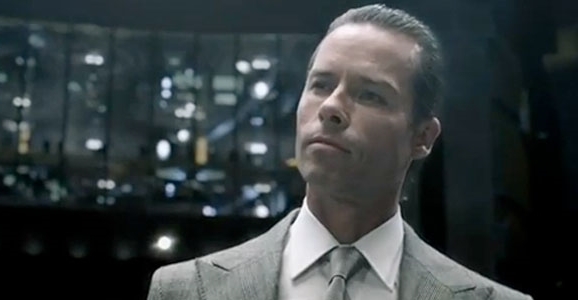 In the first Prometheus movie, Pearce played Peter Weyland, the ancient tycoon who financed the film’s expedition to LV-223. His motivations were eventually revealed, as was the fact that he’d been hiding aboard the USCSS Prometheus during its long voyage. Weyland was within spitting distance of the grave, and he was convinced the alien Engineers would have discovered some way to extend his life. Unfortunately, when he propositioned the long Engineer they found in hypersleep, the big dude responded by beating him to death with the android David’s head. Ouch. If we’ve learned anything about Ridley Scott in recent years, it’s that he apparently has no problem working with scripts that aren’t fully fleshed out or perfected. Robin Hood was fine but not very memorable, while Cormac McCarthy’s first screenplay for The Counselor was a misstep for the esteemed novelist. 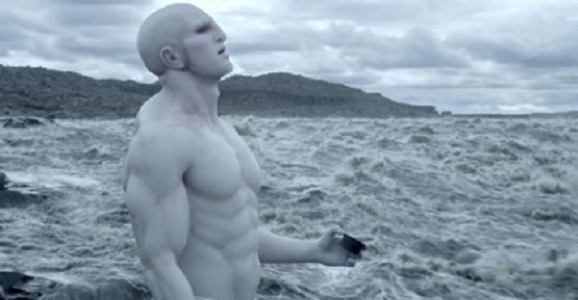 But the one that we’ve had the most fun mulling over here at GFR is Damon Lindelof and Jon Spaihts’ version of Prometheus, which features some of the dumbest characters in science fiction. The still-untitled sequel to that film, which we’ll just call Prometheus 2, has found itself another screenwriter in Michael Green, who penned 2011’s Green Lantern for Martin Campbell. And we all know how great that movie was, right? 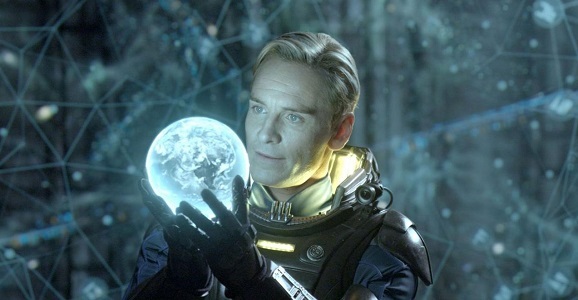 Although Prometheus was one of the most polarizing movies of 2012, the science fiction Alien prequel was a huge moneymaker for Ridley Scott and Twentieth Century Fox. So when screenwriter Damon Lindelof left the project due to a scheduling conflict — Lindelof opted to work with director Brad Bird on the upcoming Tomorrowland instead — questions went unanswered about the state of the Prometheus sequel. Sources close to the sequel have told Bloody Disgusting that the studio and Scott are literally ‘freaking out’ over how to continue the story of Elizabeth Shaw (Noomi Rapace), and are taking pitches from basically anyone who can crack the story. While a sequel is nearly inevitable, it definitely puts it in flux, and in a state of jeopardy. I’m not sure which move is the correct one for director Ridley Scott. Follow in the dumb-decision-making path of the characters in Prometheus and make another beautiful but vapid thorn in the Alien mythos? Or hedge his Michael Fassbenders and move on to more original ideas? Sure, there’s always Option C, where he makes a sequel and it’s highly successful and sensible, but we’re not living in one of Scott’s movies, readers. This is reality. Prometheus star Noomi Rapace was promoting her latest film, Dead Man Down, in an interview with The Playlist when the conversation naturally turned toward that most notorious of recent science fiction blockbusters. Rapace shared that things are moving forward on the sequel’s screenplay, which will be gloriously free of Damon Lindelof’s involvement.